I make it a point to be an active member of the campus community, and this helps me do my job more effectively. Because I knew that one of my colleagues was teaching a class on the Supreme Court next semester, I shared with them a podcast series called “More Perfect.” This is a spinoff of NPR’s RadioLab dealing with the Supreme Court. 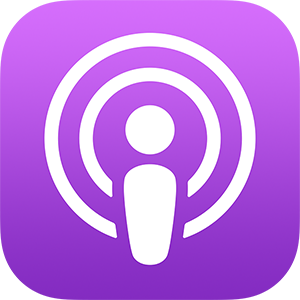 There was a great episode on Baker v Carr and the Warren Court that I shared with Dr. Tabrizi. She loved the podcast and thought it was great, and she said she intended to share it with her class next semester. I offered that I could help her modify her course, so that her students would create a podcast in the style of “More Perfect” as their final project, working on that project throughout the semester, structuring the course so there were opportunities for feedback from peers, their professor, and professionals, and making the project have a wider audience outside of the class. What started out as a friendly podcast recommendation became a major project where I would support a semester-long class project as an embedded technologist. 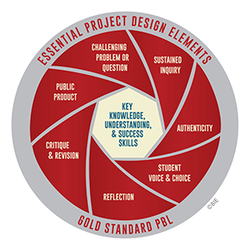 When I advocate for using PBL in class, I specifically mean the Buck Institute for Education’s framework. Using their framework throughout the semester helped Dr. Tabrizi and I focus our project planning and implementation. ​In our framework, each group of three would create their podcast based on a current issue that will come before the Supreme Court in the calendar year. The group will be responsible for finding three historical cases that influence the current issue. Each member of the group would be the primary researcher and script writer for one of the three cases, but once past the research phase it was the groups responsibility to create one narrative out of the three cases and make the podcast flow as one. In this way we had created a format for the students to use, which gave ways we could access both the group and the individual. While the overall topic had to be a current issue coming before the Supreme Court, students were able to choose the specific topic, and had to identify and choose the historical cases that would illustrate how the court is dealing with the topic currently and the historical context of how the justices have dealt with the issue in the past. When creating this project, the expectation is that the students final project will be high quality and ready to display to the campus community and beyond. To ensure that level of buy in, we will be engaging students to co-create rubrics and benchmarks as class goes on. An example of this will be how the final project will be graded. We devised a simple building block assignment, where students are going to be expected to record themselves reading a poem and explain to a classmate why they chose that poem. They will record in GarageBand and be expected to create a micro-episode complete with introduction and credits, and backing tracks and sound effects. When the assignment is introduced to the class, we will give them an opportunity to help create the criteria that they will be graded on, and after their first attempt at a recording we will revisit the rubric to see if any changes need to be made. It is our hope that by treating the students as true partners in learning that they will be encouraged to put the best possible product forward. As this is a semester long project we have identified multiple check-in points where students will have have self reflection on their progress, opportunities for structured peer and instructor feedback.